This past Memorial Day weekend we decided to do something very unique. We sent out an email to most of you announcing a special promotion. 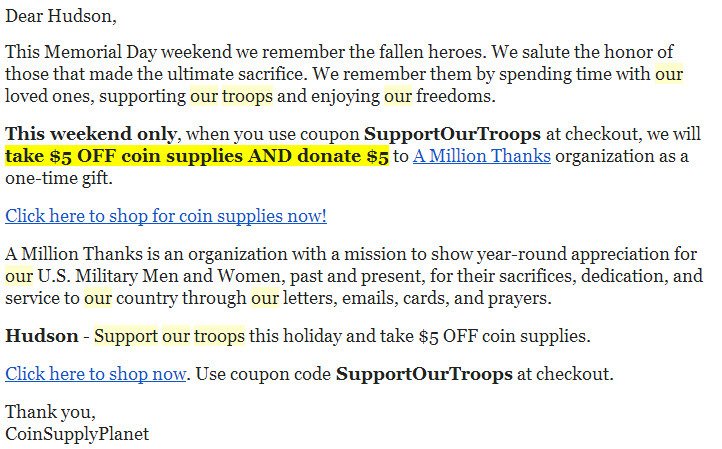 During the holiday weekend, every purchase made on the site using a special promo code got a $5 instant discount AND triggered an automatic $5 donation to AMillionThanks.org organization. The results are in! We are proud to say that some of you responded and we’ve just made the promised donation to AMillionThanks.org. While our contribution is undoubtedly small, we are proud to contribute whatever we can to the worthy cause. 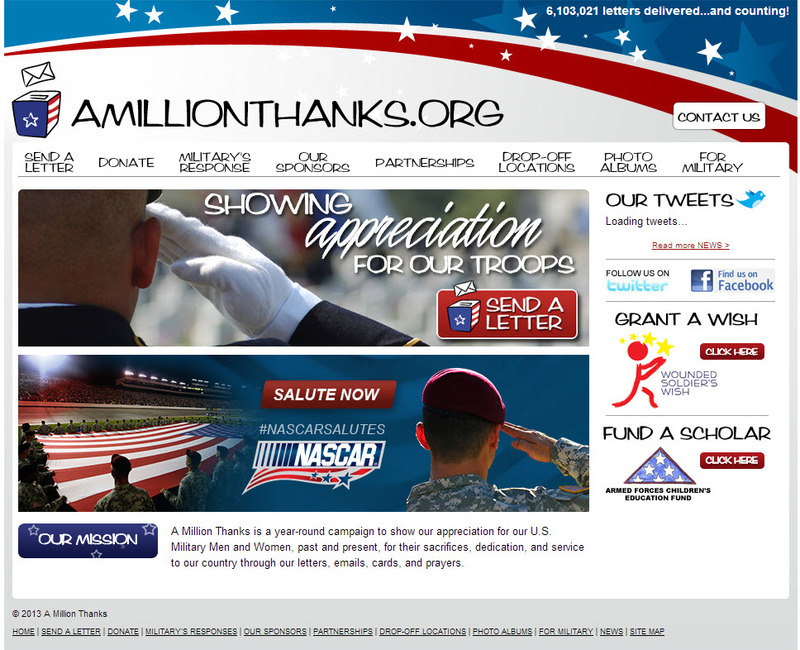 AMillionThanks.org was created with a core mission is to maintain a year-round campaign to show appreciation for our U.S. Military Men and Women, past and present, for their sacrifices, dedication, and service to our country through our letters, emails, cards, and prayers. We thought this was very special. It struck close to home.